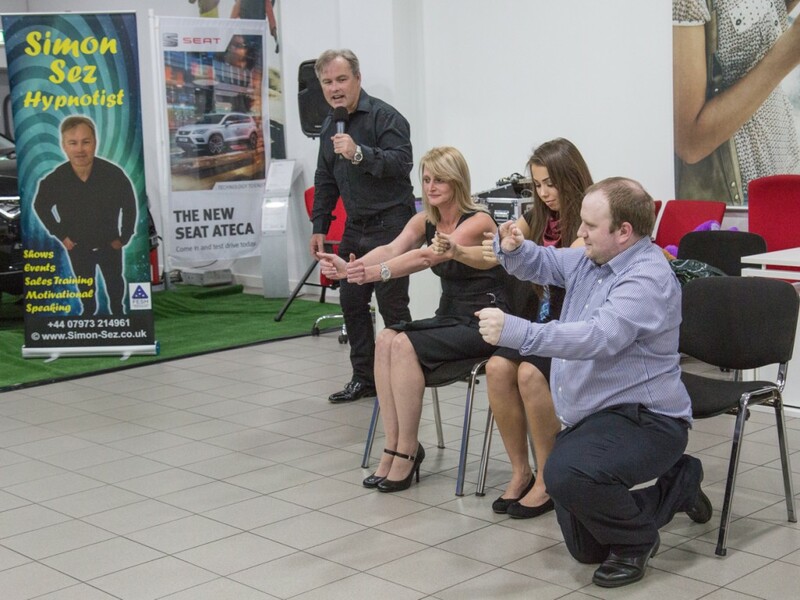 Simon Sez, comedy hypnotist, performing comedy hypnosis at Crewe Seat in Cheshire at the launch event of the new Seat Ateca SUV. 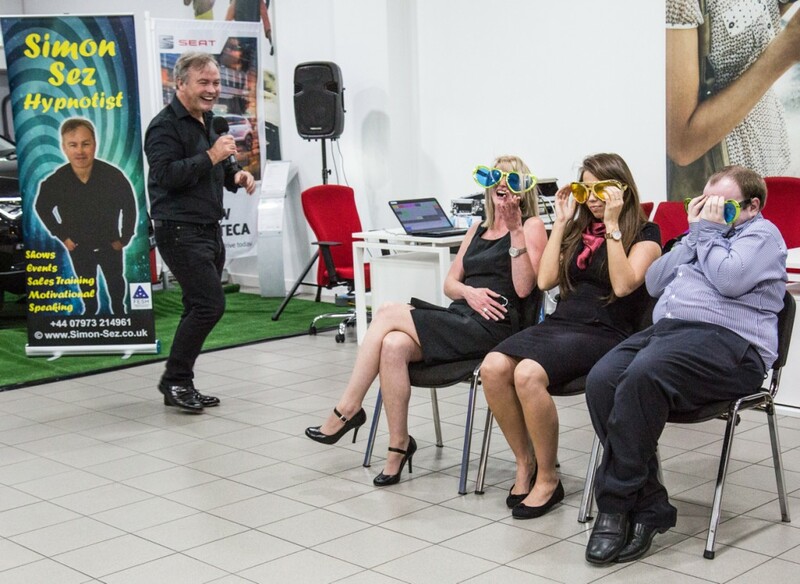 Here we have X-Ray specs that make the audience (and work colleagues) all look naked !! Here we have cow milking – always funny. Chris – I think you are milking a T-Rex !! 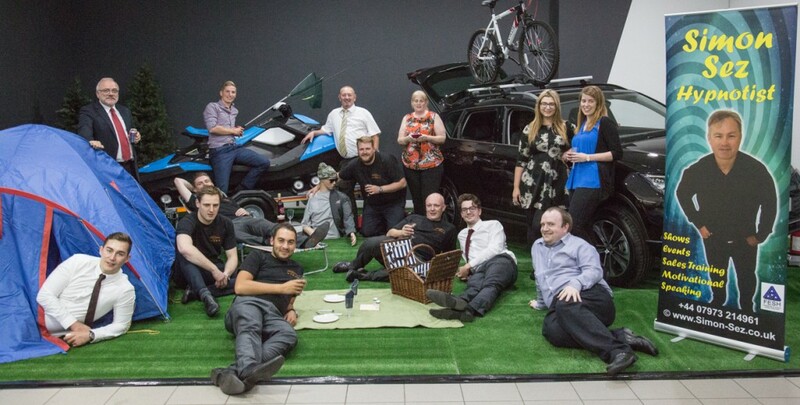 An amazing evening at Crewe Seat,. 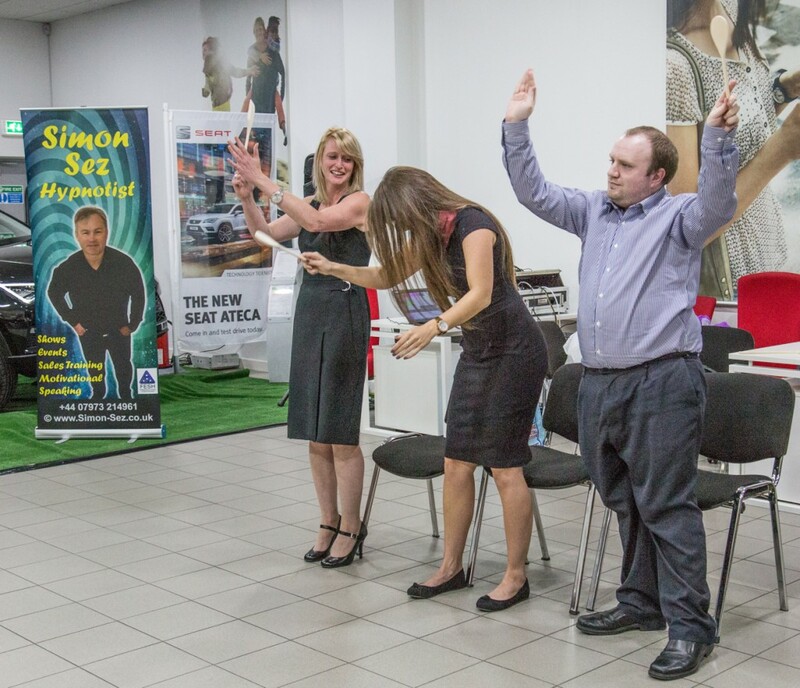 We are doing more and more of these launch events and they always go down really well. Here is some of the team afterwards with the launch vehicle, the Seat Alteca. Good car by the way !! Thanks to everyone for being great hosts and organising everything.